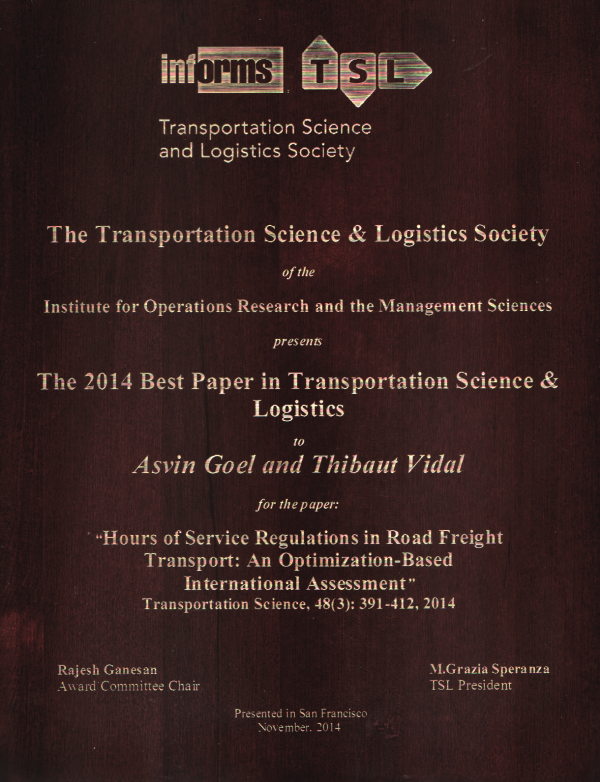 At the annual INFORMS meeting 2014 in San Francicso my paper Hours of Service Regulations in Road Freight Transport: An Optimization-based International Assessment that I have co-authored with Thibaut Vidal has been honoured with the TSL Best Paper Award. 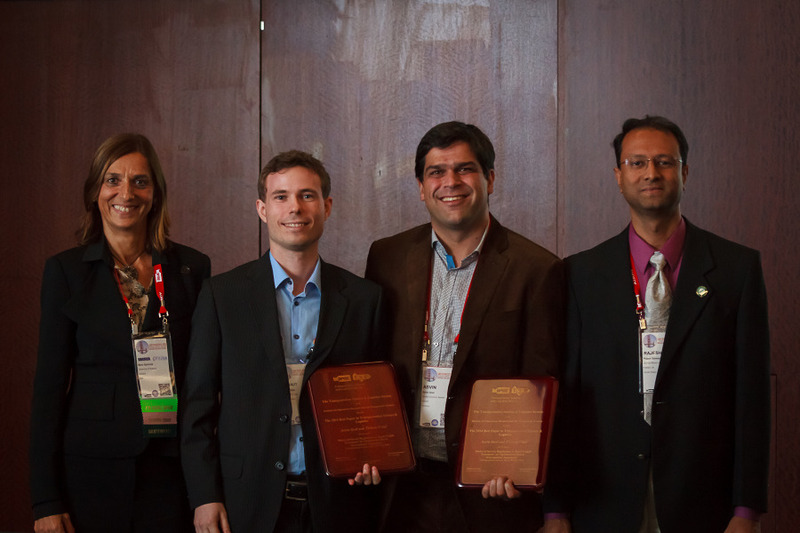 The award is given every year to an outstanding journal paper in the field of transportation science and logistics. At the meeting I had the opportunity to present the paper. Every year, the German Logistics Association (BVL) recognises innovative work of high practical relevance with the Science Award for Supply Chain Management. This year I was invited to present my work on hours of service regulations in road freight transport as finalist at the 31st International Supply Chain Conference in Berlin. Well, I didn’t win the award, however, in times where academic works that are not conducted in joint research with industry are too often defamed as irrelevant results of the ivory tower, I was positively surprised that my (rather theoretical) results have made it to the finals.